From enormous rooftop farms to out-the-way greenhouses using up vacant land, urban farms have been appearing all over the place in the last few years. The idea of bringing production closer to market makes sense economically, environmentally, and for urban management. Better to make use of unused space than have it overrun by something less useful. 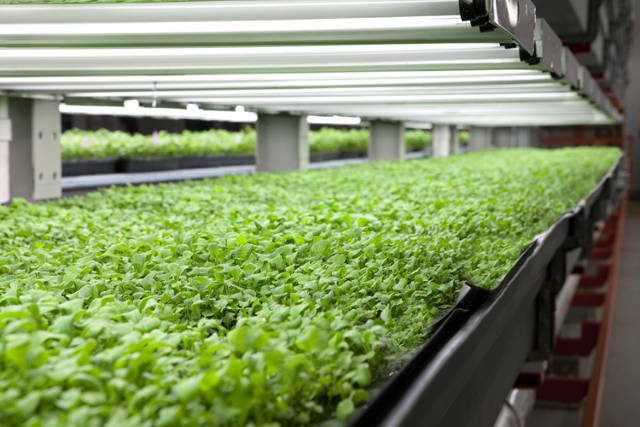 The latest addition to the crop is this 90,000-square-foot green-growing factory, about 15 miles from downtown Chicago. Making use of an abandoned warehouse, it is a vertical indoor farm for producing arugula, four types basil, and a whole bevy-ful of fish. Most ingeniously, the water from the tilapia tanks is used in the aquaponic (when plants grow in water) and aeroponic (sprayed) systems, so that very little water is ever wasted. 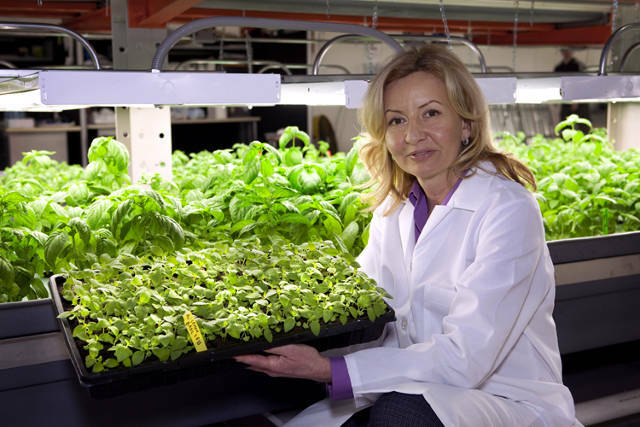 “We use about 3% of the water of traditional agriculture and it’s all recyclable,” says Jolanta Hardej, CEO of FarmedHere, the company behind the facility. 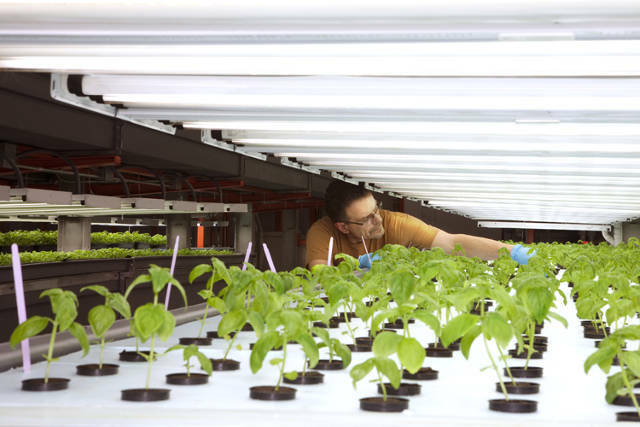 In addition, like other indoor farms, the facility cuts energy usage, by eliminating the need for heavy farm equipment and long-distance shipping. Hardej says the Bedford Park building is the largest indoor aquaponic farm in the country, and the first to receive organic certification from the USDA. The plants grow on six shelves from floor to ceiling, covering 150,000 square feet, and are tended by workers using lifts. The plan is to supply up to a million pounds of greens annually, mostly to stores like Whole Foods, but also to local restaurants. This entry was posted in Vegetable and tagged Warehouse Farm by admin. Bookmark the permalink.